Last night, my son Emerson and I both had great dreams. In Emerson’s dream, he and his uncle were walking through a forest picking crayons off the trees. In my dream, I sat in the back of a red pickup truck with a dozen or more people who were younger than me, maybe college students. We were watching an empty train track. 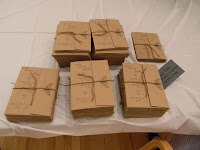 It was early summer and the air was filled with anticipation, like we were getting ready for a Kill the Cat Press chapbook launch. (Or the end of classes, or even graduation.) In the distance we heard the noise of something approaching, and then there it was, a train, a long and loud train pulling into view and finally slowing to a halt. We jumped up to see what was inside, and on the backs of the train cars we saw large bright objects the train was delivering. Odd containers like kayaks and red and yellow dog houses and big suitcases and giant turtle shells that looked as light as balloons. Young people started to appear everywhere, climbing the train to unpack the shells and the boats and the houses. Everyone was excited about the train’s arrival. Everyone looked for her or his own container to take home. I relate these two dreams because I wish to ask the author of the new chapbook Letters to Alison Dubai:did you dream these dreams last night too?